​No criminal charges will be pursued against the man whose drone was discovered on the grounds of the White House in January, the Department of Justice announced on Wednesday. “Following an investigation by the United States Secret Service and a review of applicable law,” the US Attorney’s Office for the District of Columbia decided that the incident with the man losing control of the amateur “quadcopter” does not require any administrative action. 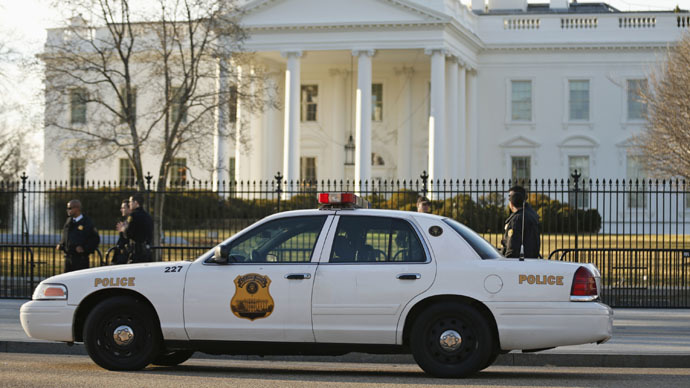 The drone was discovered on the state grounds on January 26, and caused quite a stir among Secret Service staff. A Washington resident, who – as it later turned out – borrowed the flying device from a friend without a full knowledge of how to operate it, “awoke to news reports of the crash on the White House grounds,” and self-reported the incident to investigators. “The man knew that the drone’s battery was nearing the end of its charge and expected that it would crash somewhere over the National Mall. He went to sleep not knowing where the drone had gone,” the US Attorney's Office said in its statement. Last week, the US Secret Service unusually started being allowed to carry out secret drone flights over Washington’s strict no-fly zone for the next few weeks. The operation comes as part of a covert government program, trying to find ways to counter rogue drones that could threaten the city. Intelligence agencies fear that such unmanned aircraft could be potentially used by terrorists to carry small amounts of explosives or even a grenade.